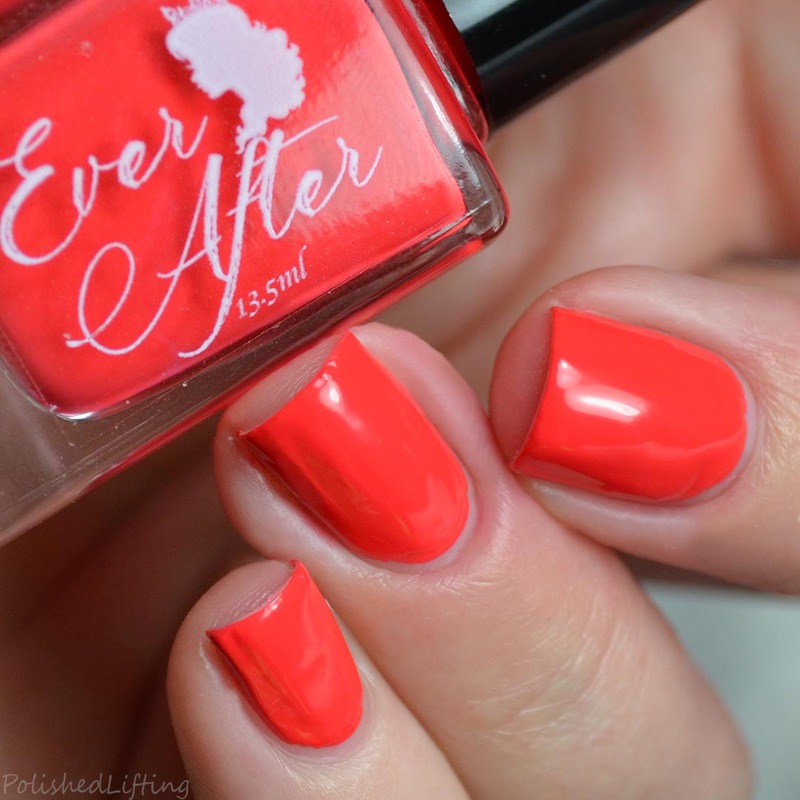 I have the brand new Ever After Polish Neon Stampers to share with you guys today! These are supposed to be one coat cremes that stamp and water marble. 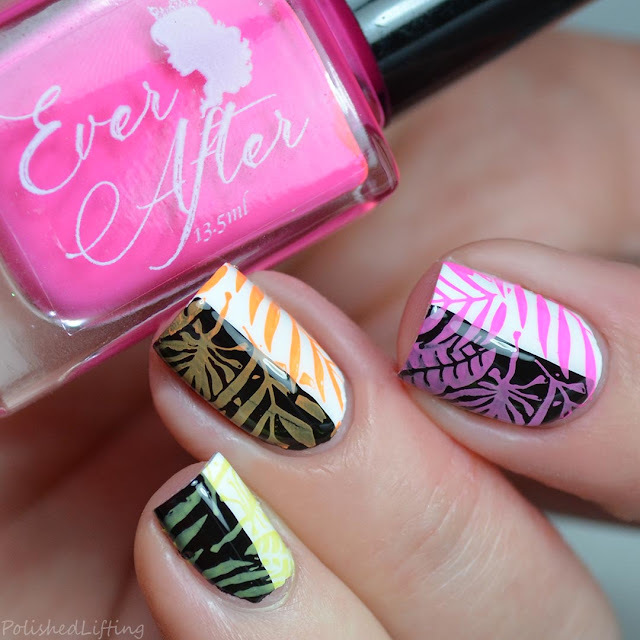 While I haven't tried marbling with these, I have tested their stamping. 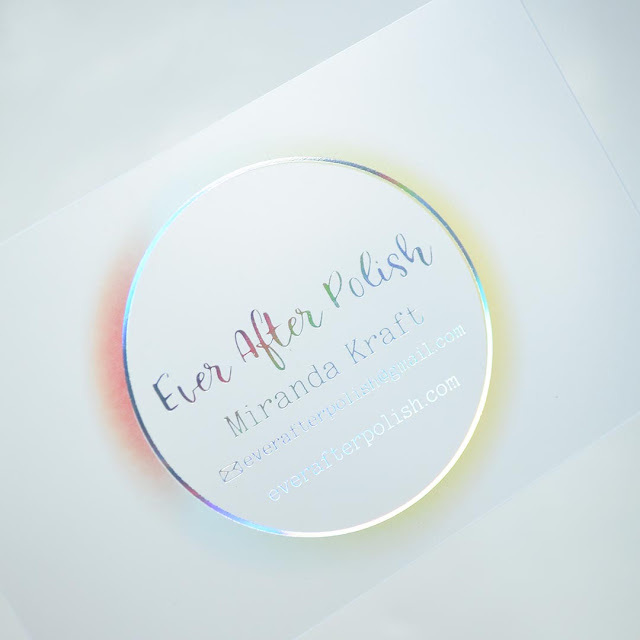 I don't normally talk about packaging but I really wanted to take a moment to share the new Ever After Polish business cards. They are made of lightweight plastic and are perfect for scraping off your image. When I asked Miranda about it directly she said that was the whole idea behind the upgrade - pretty neat, huh? I also love that they are pretty (hello holo!) while being minimalistic. Instead of leaving notes on each specific polish like I usually do I just want to note that I was not able to achieve coverage with one coat of polish. 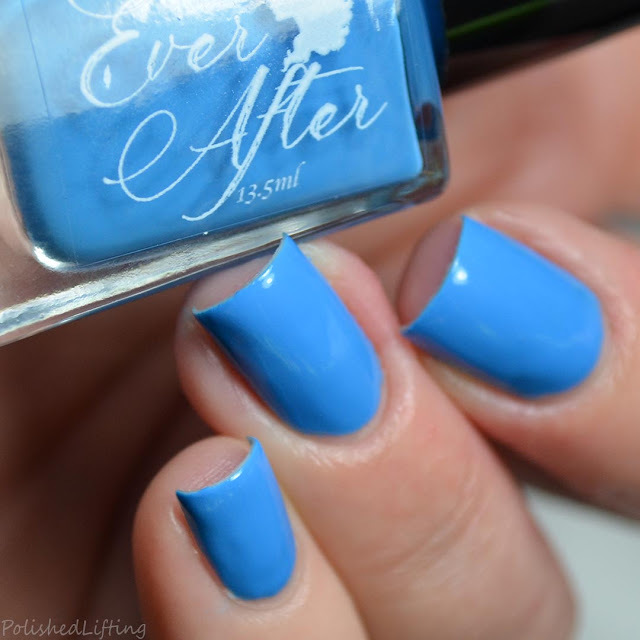 Most took 2-3 coats for a full coverage look. I also had issues with self leveling to various degrees from polish to polish. These issues are mentioned under the "formula" note. That said, these are fantastic stampers! They're quite opaque and easy to work with. Above features Laura, Leia, and Rachel over black and white. 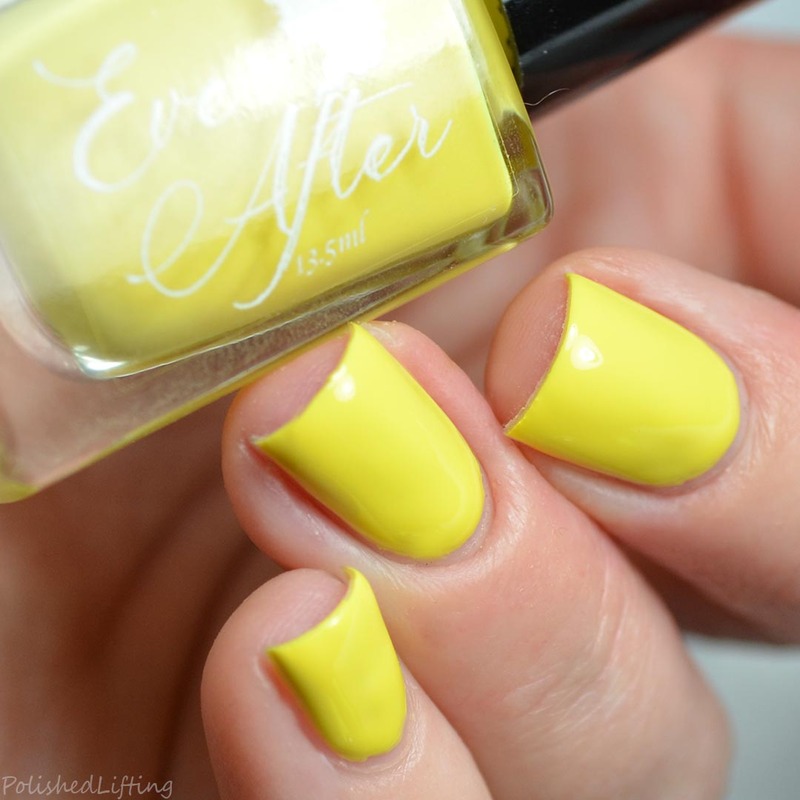 The yellow is opaque over white, but it's just a bit difficult to see under my bright lights. This photo features Rae, Annabelle, and Kayla over black and white. 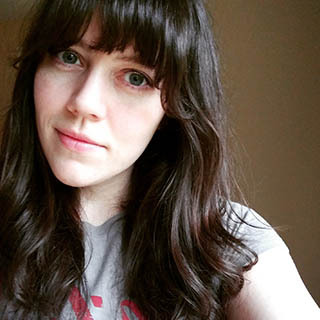 I love that even the softer colors (green and blue) are quite visible over both black and white. 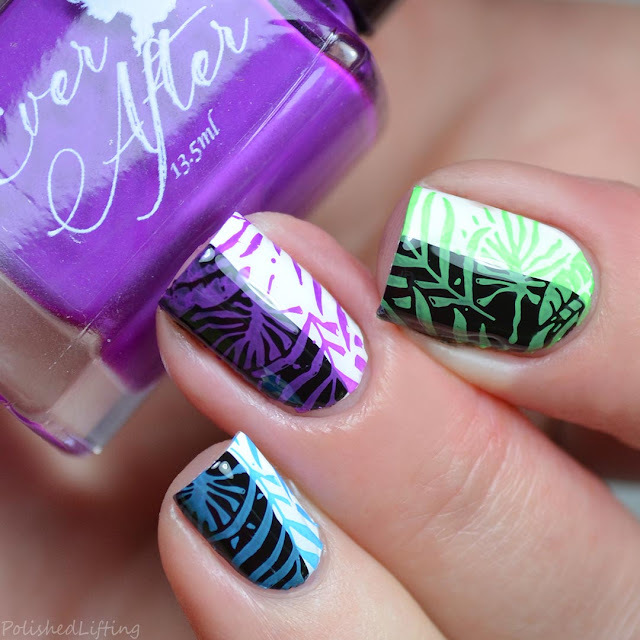 The Ever After Polish Neon Stampers collection is currently available for sale for $8 each. 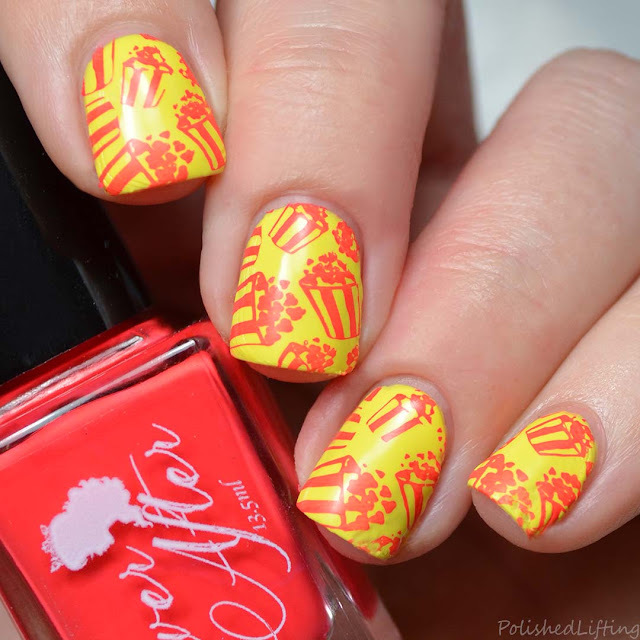 If you love neons and stamping these are quite an affordable set to add to your collection! 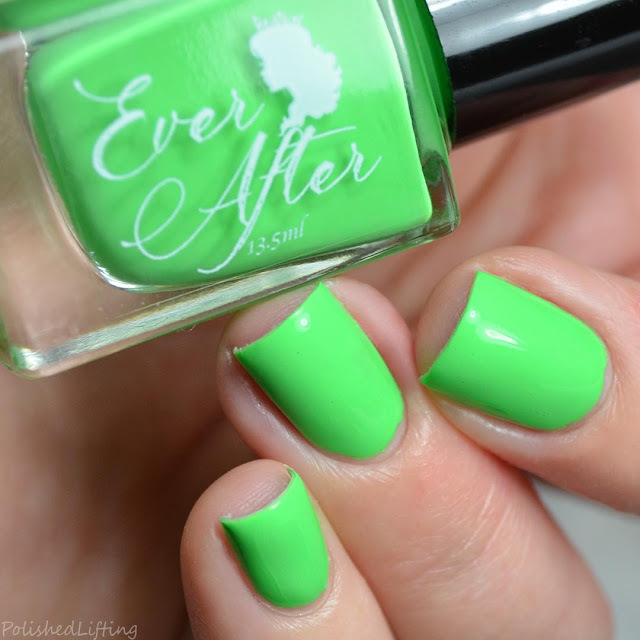 If you enjoyed this post you might like Ever After Polish Land Before Time Collection and Ever After Polish Dragons.